Blog Mini-Series: Stuff on a Stick Saturday! Welcome to the final day of the mini-series: all about stuff on a stick! Are you ready for this? I know I am so let us dive into this "stickler" of a topic! Food on the go is a national pastime in my book. Not only does it make it easier to give something delicious to your best friends, it also makes it a foogillion (food gillion!!) times cuter! It may be our sentiments of nostalgia bringing our inner kid out to the days of lollipops, or just being an adult on the go is hard. I have made many "on a stick items" that have made me feel like the smiling person giving out lollipops as a reward to all those around me doing a great job and I am happy to share these treats with you to give you some great ideas for your next event! Most recently for Easter, I made these Peeps on a stick. It was a very easy and cheap project for me. I got the 10 packs of peeps as well as the clear treat bags on top at the dollar store. I had on hand my collection of Easter sprinkles to add my own touch (what else would you expect from the Seams & Sprinkles lady) and I believe I got my collection of treat sticks from Walmart- seriously, make sure you hunt their baking aisles because there is gold in there sometimes! 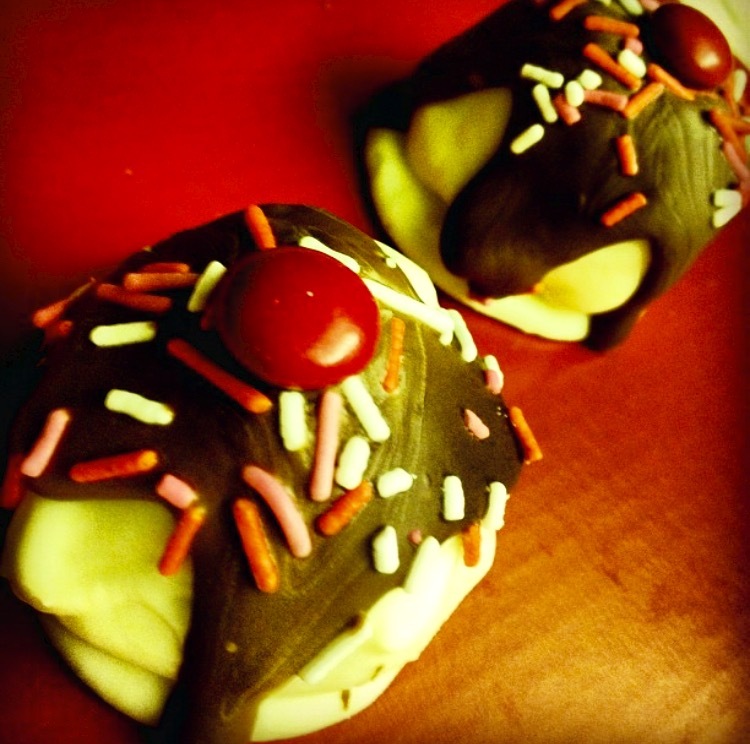 To make these treats, take apart the Peeps so they are individualized then dip them in melted chocolate or candy melts. Once you have let the excess drip off, dip them in sprinkles of your choice. Lay the Peeps on parchment paper and push the treat stick through the bottom of the Peep. Once they have dried, individually wrap them and tie with a bow. I was able to get several boxes done of these Peeps in about an hour, definitely one of my new go-to projects. I may even start making my own trays of marshmallow to use for each holiday, I am pretty sure I have just about every cookie cutter that could work! I handed them out with these little notes to make it extra-personal. I have also made my share of cake pops! These require much more work as you bake a cake, let it cool, use a fork to crumble it then mix it with frosting. Once you have mixed it up well, you then roll them into balls, dip the stick into melted chocolate and then stick them into the rolled balls. Once you have a cookie sheet full of the balls with sticks, you must then freeze them for about a half an hour. After taking out the cookie sheet, you then dip each ball in melted chocolate or candy melts, let the excess drip off and then set it in a stand to dry, I usually use the floral Styrofoam to push the stick in from the $1 Store. Once they are dry you can individually wrap them and tie with a bow. 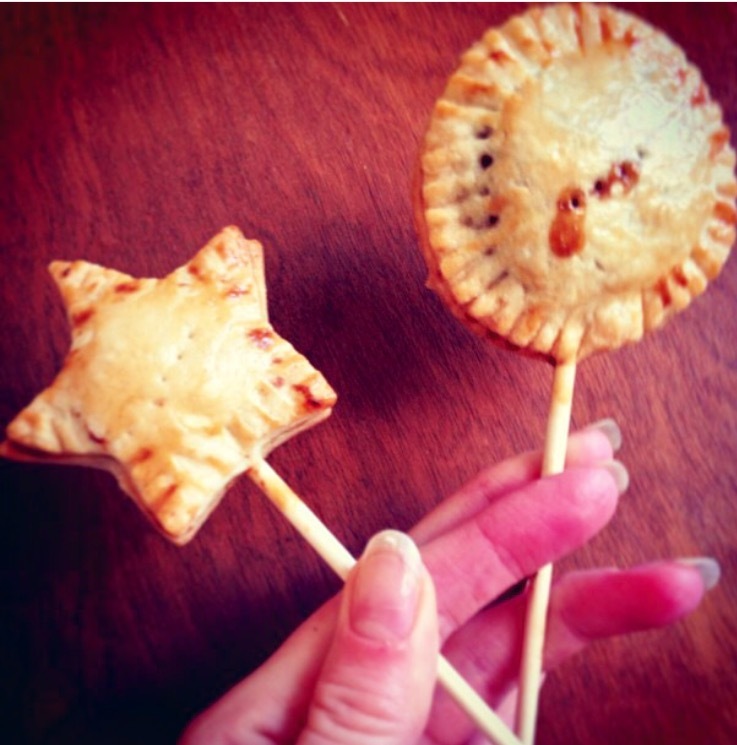 On days where I have made these cake pops I stay up into the wee hours of the morning getting them done. Take it from me, it is a long process!! If I make these, it is usually on special request from one of my friends, otherwise, I do the modified version that takes less effort- truffles!!! Well, the end of the final day of my blog mini-series has come. I have had so much fun working on these posts to share with you. I hope you have enjoyed this ride with me and please know there will be many more fun things to come. If you ever have any suggestions, I would love to hear from you! Stay inspired and have a sparkly day! Blog Mini-Series: What I Wore Wednesday! Blog Mini-Series: Top Picks Tuesday! Blog Mini-Series: My Dog Marley Monday!